You should buy custom baseball stirrups because believe it or not, they CAN help your team win! Baseball stirrups have been around for a long time and even though their primary reason is to offer your feet comfort while playing baseball and softball, they have become a style statement for several teams and players. They are more than a style statement, custom baseball stirrups help teams win! If you want your team to win, you can use our baseball stirrup custom service to increase your team’s chances to win at their next big game. You need to pitch the idea to create your own custom baseball stirrups to wear at games to your coach and your teammates. Why should you buy custom baseball stirrups in the first place? You need to buy custom baseball stirrups to wear at games to increase morale, self-confidence and provide cohesiveness of the team. Consider this example: when you feel good in what you are wearing, you automatically feel confident. All the nerves you had before are GONE because you look like a million bucks! Baseball and softball players need to feel the same when they go out on the field. They need to feel confident, because when they feel confident, they will walk off the field as winners! You want the crowd to yell and cheer you on. A good way to do that is to stun with your beautiful, striped, and colorful stirrups. When they see your team walking onto the field, they will cheer you on, especially your fans. It may also make the other team a little jealous and less confident about winning the game. Use our baseball stirrup custom service to make the other team envy your style! You want to improve your team’s visibility on the field. When you order baseball stirrups by TCK you need to brand them with your team’s logo. Doing so will increase people’s ability to recall the name of your team, you may even get a few sponsors this way. You can add your sponsor’s logo next to your own team’s logo when you hit the field. If you are tired of telling people the name of your team, do something about it! Give them a reason to remember your team’s name by buying baseball stirrups by TCK, the vibrant colors along with YOUR logo is sure to make your team one to remember. Do you want to increase the number of people that come out to support your team? You can do that by distributing branded socks to the crowd. A gesture such as this is bound to get you more fans. You can even host a competition where you ask your people — who will later become your fans — to suggest how you should create your custom socks. While you're at it, include a team cap and the fans will help promote your team increasing your fan base! 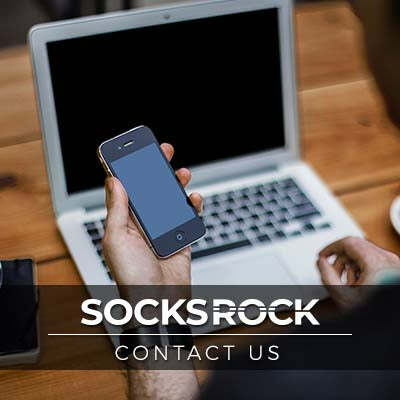 Moreover, you can send them a pair of socks or cap with your team’s logo, colors, and their name on it. The more people know about your team, the more chances you have to come out on the field with loud cheers from people emitting from the stands. Another reason you need to order baseball stirrups by TCK is that is increases your team’s chance to stand out from the other team. 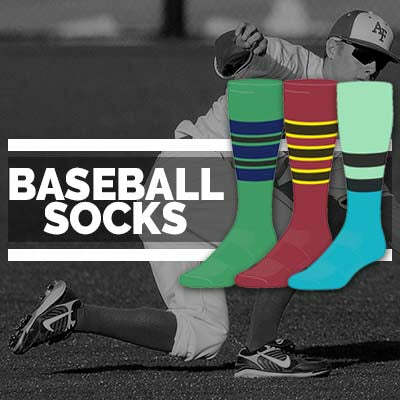 For years, baseball and softball teams have been customizing socks using all sorts of different colors and logos to ensure they stand out from the team they are playing against. You need to do the same. When you stand out, you will know you will win because everyone is staring at you and everyone has the same thought running through their mind — that team’s baseball stirrups are out of this world. We have given you different ways to win a baseball game and now, it is time to buy custom baseball stirrups. Check out all of our gear to outfit your team and start to build a champion!